Article, FEATURED STORIES, Politics, U.S. 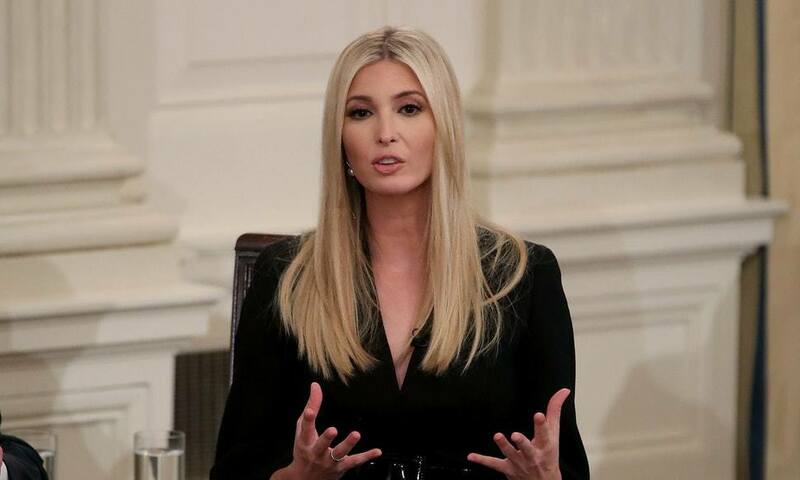 The Washington Post has reported that Ivanka Trump, a top White House adviser and daughter to the President, may have failed to comply with federal law when she used a personal email account for government business last year. President Trump has long made it known that he believes mishandling of official correspondence is criminal and worthy of strict punishment, but he argues that Ivanka’s failure to conform to federal guidelines for personal email use is easier to justify and more unworthy of punishment than that of Hillary Clinton. As Secretary of State in 2009, Hillary Clinton set up a home server to receive all of her emails, both government and personal, through a clintonemail.com account, declining a provided state.gov account which would have been managed by the US government. When the decision was scandalized years later, Clinton said she had set up her own server for the convenience of being able to carry one mobile device for both work and personal correspondence since the government-issued Blackberry phones were reportedly unable to access more than one email account. Critics argued that by maintaining her own server, Clinton was able to control government access to her official correspondence. She claimed that most of her emails were sent directly or forwarded to individuals with government accounts and therefore archived appropriately, but she also turned over many emails which had no government record by request in 2014. Half of the roughly 62,000 emails she sent as Secretary of State were recorded, but about half of them had already been deleted. Those emails, she claimed, pertained to personal subjects like recreational activities and family schedules, but some observers maintained that relevant material may have been destroyed. Clinton asserted she never transmitted classified material through her personal email but the inspector general of the US intelligence community told Congress in 2015 that Clinton had sent at least two emails which were classified at the highest level of “top secret”. Clinton eventually agreed to hand over the server from her house and memory sticks containing copies of the remaining emails for an FBI investigation. Over 2,000 emails were designated classified after-the-fact, but it was eventually concluded that Hillary Clinton should not face criminal charges. Colin Powell, former Secretary of State, admitted that he sometimes used a personal email account to correspond with foreign leaders while in office and a State Department report found that he did not comply with federal records requirements, but the rules were not as detailed during his time in the position. According to BBC News, Clinton’s exclusive use of personal email set her apart from predecessors who would sometimes use it in an official capacity. In November of 2014, President Obama signed the Presidential and Federal Records Act Amendments and government appointees now face administrative action if they fail to properly forward complete copies of all official correspondence to the government within 20 days of original transmission. According to The Washington Post, Ivanka Trump sent hundreds of emails to White House aides, cabinet members, and her assistants from a personal email account just last year. A spokesperson for Ivanka Trump’s lawyer claims there was no transmission of classified information, emails were never deleted, and the emails are now preserved in compliance with the law, minimizing the claims of similarities to Hillary Clinton’s email use. The private account was allegedly used during a transitional period and verified with White House Counsel and congressional leaders when issues were raised. They claim the account was primarily used for communication regarding her family, but emails uncovered by watchdog group American Oversight include correspondence with Small Business Administrator Linda McMahon and Education Secretary Betsy DeVos. President Trump defended his daughter by saying her personal emails were not of a classified nature, were never deleted, and have all been submitted to Presidential Record. He suggested that, unlike Hillary Clinton, Ivanka was not attempting to hide her emails from the government through a private server in her house and did not delete thousands of emails before they could become a part of the record. Nevertheless, the concern is raised that critical material which should be part of government archives may have been deleted before submission, and could have been compromised in the meantime. Ivanka Trump did not appropriately forward all of those emails within the allotted 20 days and therefore was not in adherence with the federal law according to American Oversight. The group’s executive director has called for a Congressional investigation into Ivanka’s misuse of personal email for government business, citing President Trump’s own position that such offenses are subject to investigation and prosecution. The Presidential and Federal Records Act requires further administrative action if it is proven that Ivanka Trump did not submit her emails within the 20-day window, even if she never deleted them and the contained material was not classified.